Toronto’s detached real estate market is performing better than last year, but that doesn’t say much. Toronto Real Estate Board (TREB) numbers show detached sales improved in October. The improvement isn’t as exciting when you realize sales are still below the 10 year trend. As for prices? They are basically retracing last year’s movements, give or take a couple points. The price of a detached home fell across Greater Toronto, but increased in the city. TREB reported the price of a typical detached home reach $914,500 in October, down 0.73% from last year. In the City of Toronto it reached $1,109,300, up 1.94% from last year. The suburbs are falling, while growth in the city is still below inflation. Both in the city and in the suburbs, price growth improved. Across TREB, the 0.73% decline is the smallest its been since January 2018. 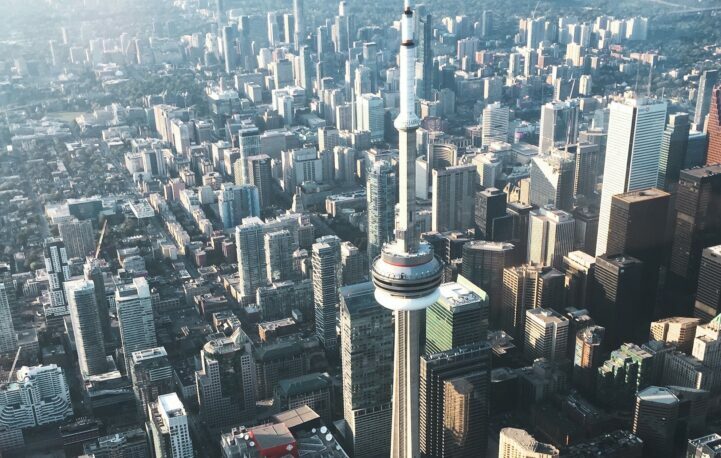 The City of Toronto printed its third positive gain, making it the highest growth we’ve seen since 2017. Worth mentioning that prices are making a textbook retrace of the previous price arc. The City of Toronto is slightly above, but not enough to say we’re in the clear. The median sale price of a detached home improved, due to an increase in luxury. TREB reported a median sale price of $850,000 in October, up 1.19% from last year. The City of Toronto reported a median sale price of $1,050,000, up 5% from last year. The increase is largely due to an increase in homes over $2 million, which is up 8% compared to the same month last year. Remember, medians aren’t helpful for determining how much prices will reach. Instead, use them as an indicator of dollar flow. The average sale price of a detached home saw mild improvement. TREB reported an average sale of $1,019,416 in October, up 1% from last year. The City of Toronto saw an average of $1,311,265, up 1.4% from last year. Both numbers did improve, but once again saw improvements below target inflation. Toronto is seeing detached sales improve from last year. TREB reported 3,328 detached sales in October, up 7.1% from last year. The City of Toronto represented 882 of those sales, up 10.1% from last year. Those are huge improvements, but it’s worth remembering last year’s sales were historic lows. Detached sales are still 25% below the 2016 number, and 8.25% below the 10 year average. Sales are improving, but they’re still in line with major policy change or recession numbers. The number of new listings for detached homes is falling in the burbs, but higher in the city. TREB reported 7,606 new listings in October, down 3% from last year. The City of Toronto represented 1,857 of those new listings, up 5.63% from last year. Even though listings across TREB fell, both regions saw higher inventory. The total number of active listings increased across Greater Toronto. TREB reported 11,473 active detached listings in October, up 4.26% from last year. The City of Toronto represented 2,293 of those listings, up 4.51% from last year. The increase in inventory is almost double what the market saw in 2016. Toronto’s detached market has improved from last year, but not enough to declare a new uptrend. Sales are higher than last year, but they’re well below the 10 year average. As for prices, they’re either just over or under a complete retrace from last year, which isn’t all that encouraging. Last year it was policy changes. What’s the excuse this year? Is that all prices are falling by in the 905? Because new homes are dropping much more than that. Tons of discounts and builder incentives. Some of those new homes were never going to see the sticker they were asking. One observation missing from here is this is the worst October gains in the history of the benchmark. If you’re looking for sunshine, you can usually catch a glimpse. If you’re looking for reality, the grey skies are infront of you. Given the Google city pushback nonsense on the waterfront, its hardly surprising HQ2/HQ3 did not go in our favour. I see it as a big loss of opportunity for our youth and likely a brain drain to the USA for some of our brightest, though few will likely agree with me. infrastructure problems, housing fiasco, and the trade and tariff uncertainties. Fortunately one less corporate juggernaut for local young tech entrepreneurs to be crushed by. This comments section gets awfully quiet when BD prints a positive article. Where all my bears at??? Your arguments would apply equally to every single bubble that ever existed in the history of humankind. It’s only a bubble if there is no intrinsic value. Are you you going to tell me there is no value in home ownership?